Zebra Theater on stilts has been and remains a very much appreciated guest on national and international festivals for over thirty years. Zebra is a reliable partner for numerous events of different kinds. The magic of a wonderful world. Here you will find a complete overview of all current productions. Stilts are always the focus of attention. They build an ideal mobile stage which offers endless possibilities. Zebra explores them all and uses high peg stilts, spring stilts and durastilts in all kinds of shapes, calibers in its productions. As Zebra always performs in various and new locations, this game with the audience brings about new surprises, challenges and spontaneous interaction. It creates a creative and poetical space as well for the artists as for the spectators. Everything is possible in this moment. Create new spaces – Raise emotions! Thanks to the the combination of a thrilling optic paired with virtuosic communication, of aesthetical outstanding show acts and exceptional walk acts Zebra is a central figure in numerous events over the years. 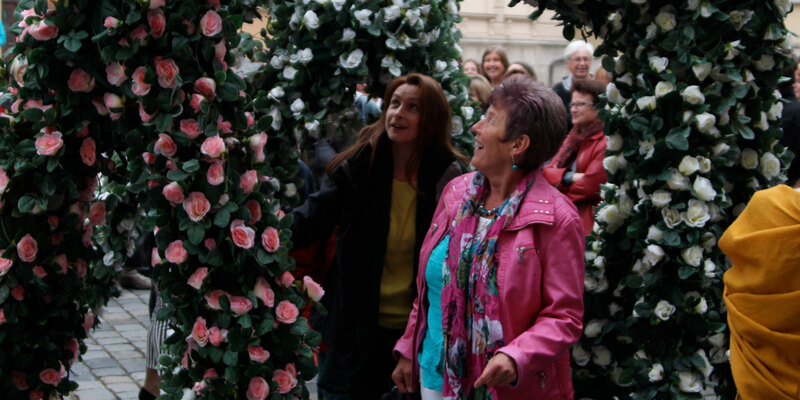 The walk act combines spontaneous and free game with scenes which have been thoroughly choreographed. The lively, witty interaction of the characters with the audience represents the main part of the Walk Act. This means that each walk act is unique in itself! 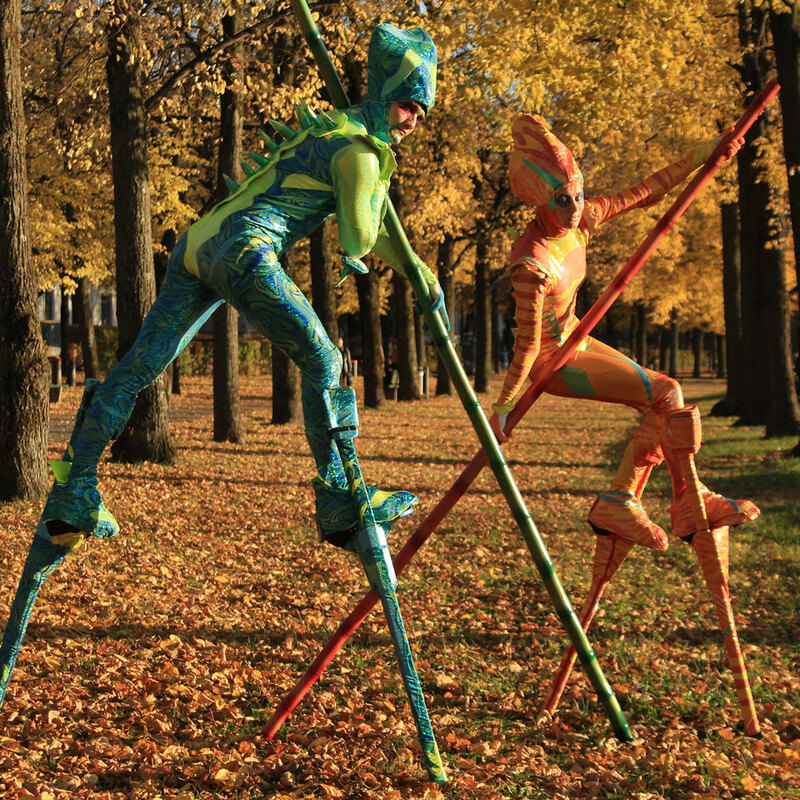 Accompanied with unusual music Zebra presents ingenious dance acts on stilts. Extraordinary costumes as well as the virtuosic stilts skills of the artists are the guarantee for a mesmerizing show! New costumes and shows can be created to suit special needs for trade fairs, road shows and promotion. The perfect teamwork between the highly skilled artists is the key to Zebra’s success! 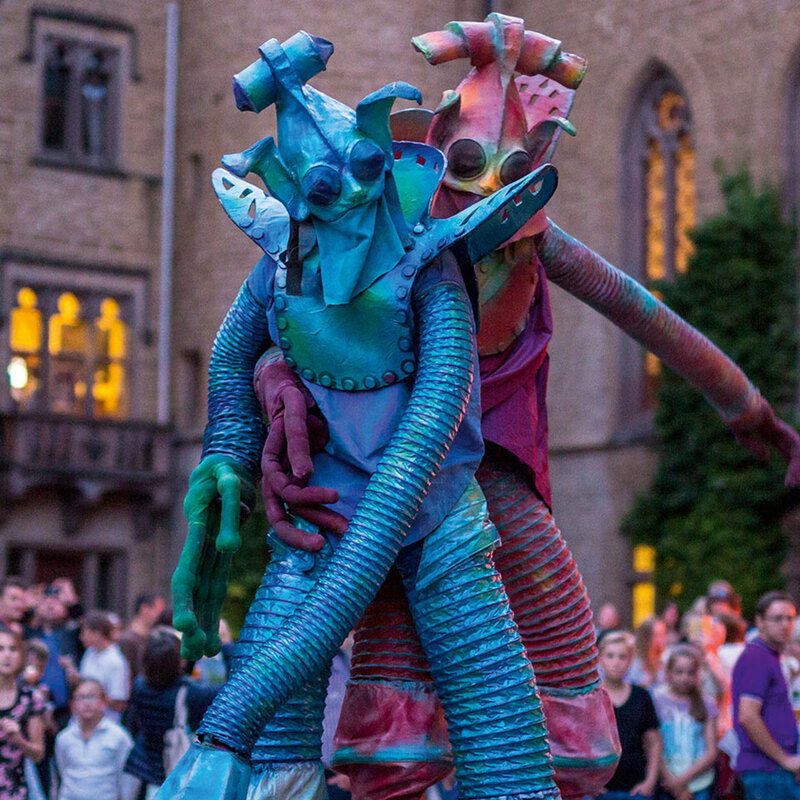 They are all united in their love for stilts art, the team and the connection with the public! New members – even beginners – are welcome to join the team! Children marveling eyes and enthusiastic grown-ups followed the 2 dervishes from Zebra through the park of the castle. An original and highly entertaining performance.